Luxurious Riverfront town home offers stunning views & ideal location. Enjoy panoramas of Missouri River, Bob Kerry Bridge &TD Ameritrade from 3 levels of private outdoor living space. Upgraded finishes throughout, inc. shaker cabinets, stainless steel appliances, double oven, 2 fireplaces, updated lighting. 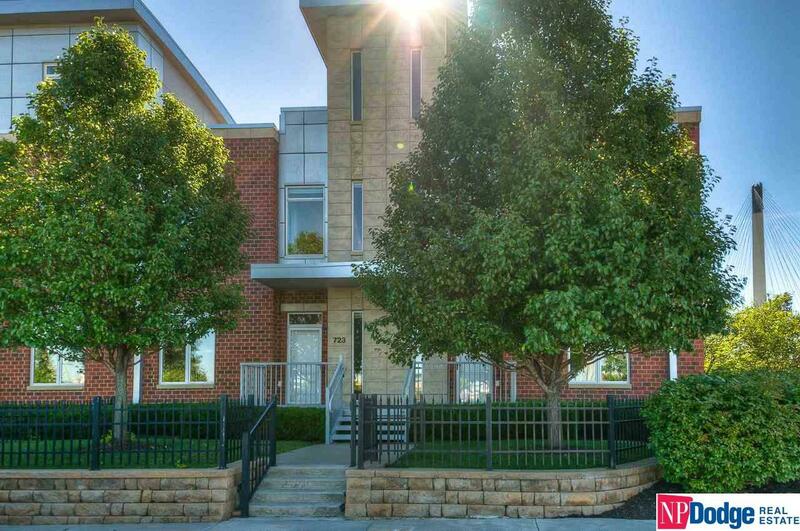 Heated underground parking, 2 fitness centers, extensive concierge service & community rooms. Walking distance to TD Ameritrade, Century Link, Old Market, Hanafan Park, & upcoming Prominade. Hoa Includes Ext Maintenance Lawn Care Security Club House Snow Removal Insurance Common Area Maint.